I'm gonna start off by saying 2013 has not been MY year. This year has honestly been one of the hardest years I've ever had to go through. My marriage has been put to the test time and time again, we have faced unexpected financial obstacles, loss, sadness and heartache. BUT through everything I have never lost my faith or hope in God. He has guided Justin and I and kept us together and stronger than ever. I'm SO happy to say, thanks to the good Lord above, things are finally looking up! 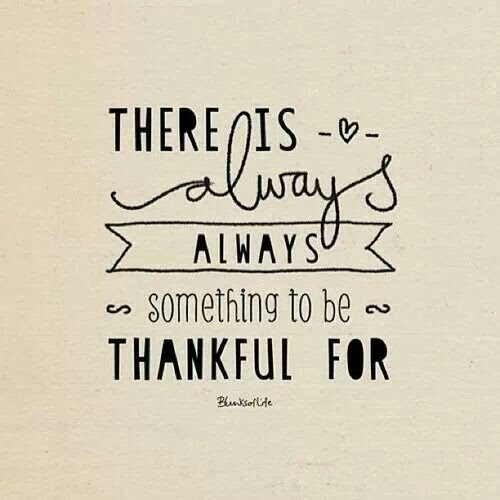 With that being said, I have been feeling incredibly thankful lately! I started the #30daysofthankfulness challenge on FB & Instagram and I'm absolutely LOVING it! It's seriously a great daily reminder and makes you think about all of the little things in life that you take for granted! Along with being thankful I've also been extremely motivated. I just really want to try my hardest to be the best ME I can be! So I've set some personal/marriage/future goals that I wanted to share with you guys! Maybe you can hold me accountable?! I want an even better relationship with my Lord and Savior. Justin and I are very lucky that we have a minimal amount of debt. We've had a few unexpected set backs this year but I want to get back on track completely! A tropical vaca has been calling my name! I want to set money aside and plan a fun getaway! I really want to make this happen!! Chicago and Nashville were amazing this year but I need to go somewhere with sand and palm trees next time! This is entirely up to the good Lord above. But oh, how I long for my own child. I want to be an even better wife to my husband than I am now. I want to uplift him, praise him, help him and guide him. Not only do I want to be a better wife in the spiritual aspect I also want to step up my wifey duties! AKA... cook more meals at home and actually fold ALL the laundry! Life gets so busy and I just run out of hours in the day! I want to try to get back to 3-4 posts a week! I miss blogging and reading blogs more than anything! What are some things you guys are thankful for?! I'm going to catch up on all of your blogs now! :) Happy Tuesday friends! Maybe you would not be in debt if you did not splurge constantly. I had this convo with you last Christmas-time. Save your money. You buy expensive presents for your husband and he does the same for you. It's such a shame. Piling things on your credit card is a shame. You are living beyond your means. HAHAHA I love when people believe they know the details of my wife and mines life (Clarice). Not that it is any of your business but the debt my wife refers too is hospitals bills, one from when I had to have a heart surgery, and the other for when we went through a miscarriage. But you are correct if I wouldn't of bought her the Christmas gifts I got her (in which I bought with cash not credit), which you probably wish you had, I would of been able to pay the 57,000 dollar heart surgery I needed. Some things in life happen which no "Dave Ramsey" money saving can help. Sorry for attacking your blog lover but some people just need to keep their mouths shut until they know all the details. I hope you know Lauren in real life. Not that this makes THIS any more excusable, but your mention of "I had this convo with you last Christmas-time" is just sad. :( You should probably get a life and stop worrying about other people's bank accounts. Sheesh! She SO does not know me in real life lol! But thank you so much pretty lady! :) If she did she would know we have ZERO credit card debt! Thanks beautiful!!! I've missed blogging! ^^ um wow rude. If you're a person that knows Lauren in real life, maybe you could have that conversation in person or over the phone, not on her blog, just saying. Thanks ladies! :) I'm happy to be back! Thank you so much!!! :) I love chatting with you! GREAT goals!! I agree with saving money and getting in shape!! ps. keep buying expensive presents.. this is the time when you can afford it and enjoy them!!! We only live once & you & Justin both work all too hard to not enjoy some of the finer things in life! hope to have you back to blogging as I love your blog!! Your transparency is refreshing! Forgot what "anonymous" said. Glad to have you back blogging! Lauren, do not let these ignorant people for one second get to you. Obviously they aren't brave enough to post a comment like that where everyone can see who they really are. Your posts and updates are always so encouraging and I look forward to reading your blog! So keep doing what you are doing and just remember...they are jealous of you sista! P.S. Love how Justin backed you up, up there! So sweet!! I love your goals! I would also love to pray more, lose weight and work on being debt free. I could also be a better housewife haha!